If you rent your home, whether it’s a house, a condominium or an apartment, it’s important that you have renters insurance coverage. This type of insurance can protect you and your property if something unexpected happens. Montgomery & Associates is an established and reputable renter’s insurance company with offices in Brentwood and Murfreesboro that can help you with your renters insurance needs. If you have questions or you’re ready for a quote, simply contact us by calling (615) 829-8457, filling out the short form on your website or stopping by our Brentwood or Murfreesboro TN office. We work with several insurance carriers to get our customers the best rates. One of our most popular carriers for renters insurance is Progressive. Being properly protected is important when you rent a house, apartment, condominium. or even a long-term Airbnb near Music Row in Nashville. Your landlord should have insurance that will cover certain things like the apartment building, home or dwelling itself. But don’t expect their insurance to cover everything. If something happens to your apartment, your belongings won’t be covered unless you secure your own renters insurance policy. Your renters insurance can cover you in many unforeseen situations. These can include problems from storms, such as hail, wind or lightning that causes damage to your apartment or house. This type of insurance can also help if you have a fire in your rental. Your plumbing could freeze or a water leak might cause damage to your belongings. You might even be a victim of theft. These are just some examples of when renters insurance can come in handy — or more like invaluable. In addition, renters insurance can protect you from liability for an accident in your apartment. For example, if someone is injured in your rental place and you are sued, your renters insurance can provide you with some protection. It might also help if you find yourself unexpectedly needing a new place to live. The Montgomery & Associates renter’s insurance agency likes to do things with a small-town touch Nashville loves. We help you find the right amount of insurance to cover your needs without going overboard and making you pay for what you don’t need. 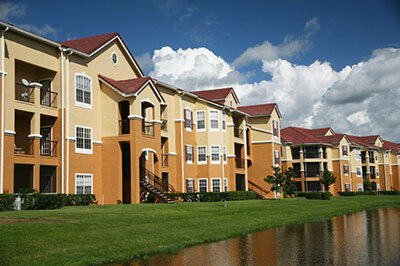 We will assess your insurance risks and work to find you renters insurance that will cover those risks. Since we’re a renter’s insurance broker firm, we do not just work with one insurance carrier that we will force you into a policy with. Instead, we will help you find the company and the policy that fits your needs and your budget from many different choices. When you contact us, you’ll get a renters insurance agent to work personally on your case. Our staff includes our principal agent and owner of the company, Will Montgomery. After six years of experience working as a captive insurance agent, Will started Montgomery & Associates in 2010 with the goal of satisfied employees and satisfied clients. In addition to Will, you have a whole team of experts at your disposal. The team is made of up insurance professionals who are knowledgeable in the field and who keep up with continuing education to stay on top of current information. We use our knowledge and expertise to help you get the best policy you can and we use our personal touch and customer service skills to give you a positive insurance experience. What are your Renters Insurance Options? When you’re ready to get your renters insurance quote for your Nashville, TN rental, or if you have some questions to start, just contact us at Montgomery & Associates. You can call us at (615) 829-8457, fill out our website form or stop by our Brentwood or Murfreesboro office. We’ll be happy to help you in any way with your renters insurance needs.